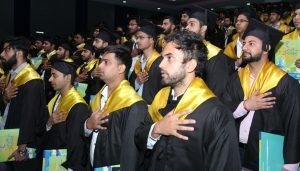 Manav Rachna University (MRU) organized its 2ndConvocation Ceremony at its campus today. The chief guest for the occasion was Padma Bhushan Dr. D R Mehta, former chairman of Securities and Exchange Board of India.Well-known filmmaker Mr. Rakeysh Om Prakash Mehra presided over the ceremony as the Guest of Honour. They were accompanied by Ms. Satya Bhalla, Chief Patron, Manav Rachna Educational Institutions (MREI); Dr. Prashant Bhalla, President, MREI; Dr. I K Bhat, VC, MRU; Dr. Sanjay Srivastava, VC, MRIIRS; Dr. N C Wadhwa, DG, MREI; Deans and Directors of the various institutions of MREI. The convocation was declared open by Smt. Satya Bhalla. Dr. I K Bhat presented the Annual Report of MRU. 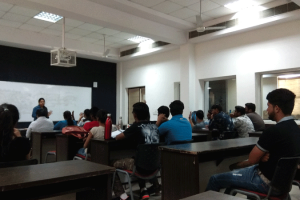 Addressing the graduating students, he talked about the importance of ethics, loyalty and character building as the first step before entering into the professional world. The convocation memoir ‘Pratibimb’ was released at the ceremony. MRU also bestowed Honorary Doctorate Degrees in Philosophy upon Sh. Rakeysh Om Prakash Mehra and Sh. Daisaku Ikeda (in absentia).386 meritorious students were awarded degrees. Special awards were instituted for exemplary performance across various genres. 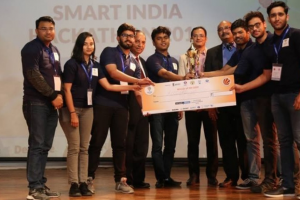 All the awardees for the special awards and medals were chosen through a well-structured process where all nominations were evaluated by a committee headed by Deans and Directors. Ms. YashikaHasija (Computer Science Engineering) received the Patron’s Medal for her significant contribution to women in engineering. 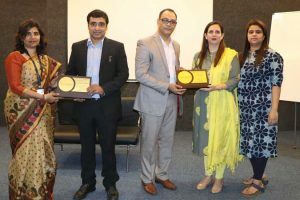 Ms. Akansha Ahuja (Computer Science Engineering) was awarded three medals: President’s Medal, Outstanding Achiever’s Award in Research, Outstanding Achiever’s Award in Professional & Technical Development for her achievements at the International Level; Ms. NishuGoel (B.Tech in Information Technology) was bestowed with the Vice President’s Medal for her achievements in using technology for a better livelihood. 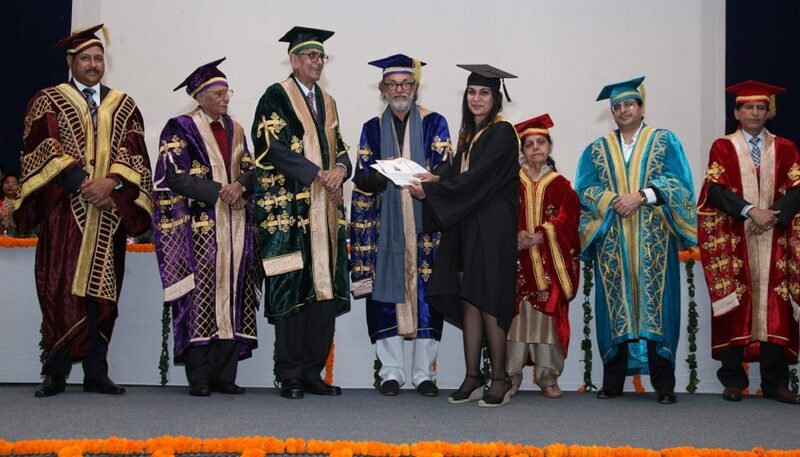 Ms. Priyanka Tewatia (Mechanical) was awarded with the Vice Chancellor’s Medal for her academic acumen. Mr. DiveshPopli (Electronics& Communication) was awarded with Student Leadership Award for displaying outstanding leadership across academics, sports and other activities. Mr. Divyanshu Goyal (Computer Science Engineering) was announced as the ‘Outstanding Achiever’ in the field of community service. All stream toppers were awarded with academic proficiency medals.